Have you ever gotten a text message that's so funny, so frustrating, so amazing that you just have to share it? If so, then you need to learn how to forward a text message on the iPhone and iPad. You can also print text messages, if that's how you would prefer to share (or archive) them. Go to the text conversation that includes the message you want to forward. Tap and hold on the individual message you want to forward (the speech balloon with the message in it). A pop-up menu appears at the bottom of the screen offering you two choices: Copy and More (in iOS 10, other options appear above the speech balloon, but you can ignore them). Tap More. An empty circle appears next to each message. The message you selected will have a blue checkmark next to it, indicating that it's ready to be forwarded. You can also tap other circles to forward them at the same time, too. Tap Share (the curved arrow at the bottom of the screen). A new text message screen appears with the message or messages you're forwarding copied into the area where you normally write the text. In the To: section, type the name or phone number of the person you want to forward the message to, or tap the + to browse your contact. This works the same way as it does normally when you write a message. With that done, the text message has been forwarded to a new person. Tap Messages to open a message. An empty circle appears next to each message in the conversation. Tap the message (or messages) you want to forward. A check mark will appear in the circle. Double check that the text message you want to forward and the name of the person you're sending it to are both correct. Texts not sending at all? 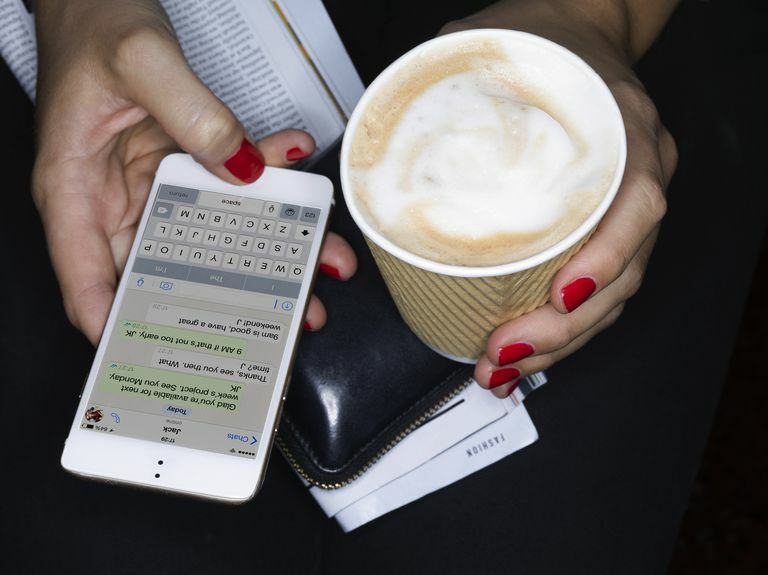 Find out how to solve that problem by reading iPhone Can't Send Text Messages? Here's How to Fix It. Just like you can send one text to multiple people, you can also forward texts to multiple recipients. Follow the steps above for your version of the operating system. When you get to the step where you choose who to forward the message to, enter multiple names or phone numbers instead of just one. You're not limited to forwarding boring old words. If someone texts you a photo or video, you can forward that, too. Follow all the same steps as listed above and select the photo or video instead of the text.